Though the budget is finalized for the upcoming year, the finance battles aren’t done at the Kenai Peninsula Borough Assembly yet. The assembly approved the fiscal year 2019 budget at its Tuesday meeting, but with only a small property tax increase to support the spending. That reduced the deficit spending left over from the fiscal year 2018 budget some, but not all the way, and the borough can’t use much more of its fund balance without risking going under the required minimum. Several assembly members and Borough Mayor Charlie Pierce have brought forward revenue suggestions to help fill the remaining budget gap. Three would not require a popular vote, and one would have to go to the ballot. Assembly member Dale Bagley has proposed two options — one to reduce the seasonal sales tax exemption on nonprepared food items to six months per year from nine and one to implement a 12 percent tax on temporary lodging. The grocery tax repeal wouldn’t require voter approval, though several assembly members said they wouldn’t support it unless it went to voters and Bagley said he would consider adding ballot language. The temporary lodging tax, known as a bed tax, would require voter approval. Pierce plans to introduce an ordinance enacting an excise tax on cigarettes, electronic cigarettes and other tobacco and vaping products containing nicotine at the Tuesday meeting. No details were included on the borough’s online agenda, but at the June 5 meeting, Pierce said he expected it would cover the borough’s budget needs. Several assembly members said they supported the idea but needed to see details. Assembly member Kenn Carpenter has also introduced two measures that would free up or bring in money for the borough. One is an exception to code that would allow the assembly to take $1.75 million out of the borough’s land trust fund to pay for government. It’s a modified version of a proposal Pierce floated earlier this spring to use about $3 million of the land trust fund to fund borough government this year without new taxes in place, but the assembly shot it down. Carpenter’s other ordinance would change borough code to remove the requirement for voter approval for the assembly to increase the cap on taxable sales in the borough. The borough sales tax currently only applies to the first $500 of a purchase — anything beyond that is exempt from sales tax. The assembly has tried twice in the past three years to increase the sales tax cap at the ballot but voters have shot it down both times. 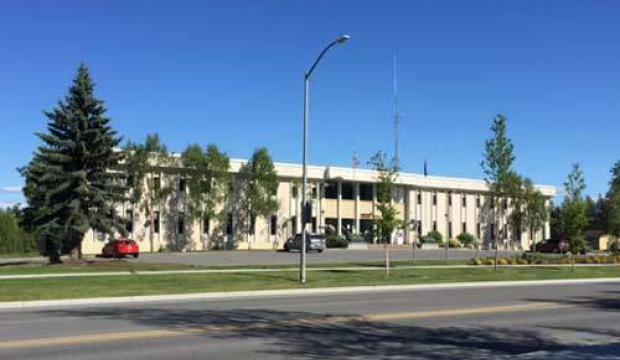 The assembly meets Tuesday at 6 p.m. at the Borough Administration Building in Soldotna. Reach Elizabeth Earl at eearl@peninsulaclarion.com.